With a little one who's crawling and constantly putting whatever he can grab inside his mouth, easing his way into solids and making a mess in the process, keeping our home clean is a definite must. And add postpartum hair loss to the equation. (It is a miracle that I still have hair!) With that said, a good vacuuming, while something I utterly dread, has to happen on a regular basis in our home. The guys at LG and Social Soup have given me the chance to put their new LG CordZero Canister C3 to the test. Perfect timing, I might add, as I've been meaning to do some spring cleaning as well. Over some time, expect to read our thoughts on how this vacuum cleaner fares. 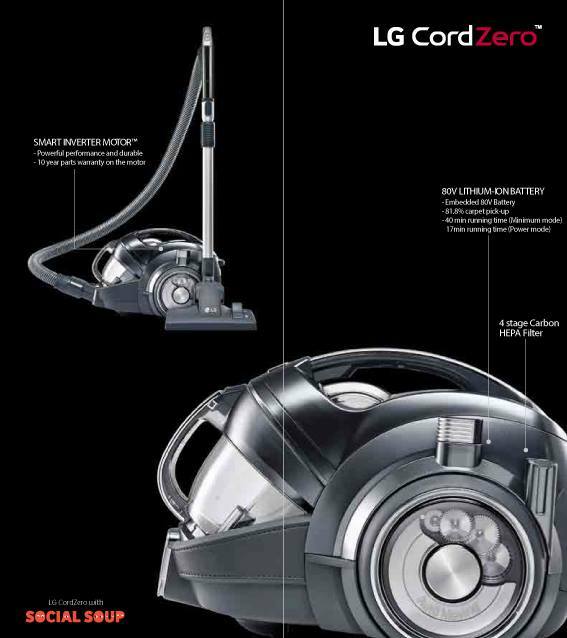 First off, let's introduce the LG CordZero Canister C3. It is often said that first impressions are important. It's setting a bar that matters to the overall experience itself. 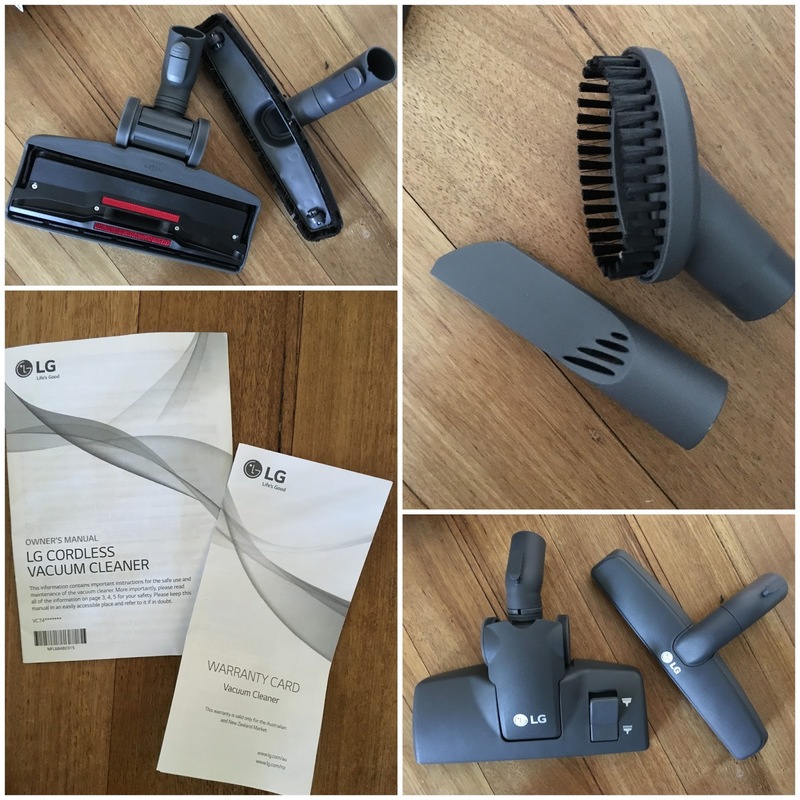 Because I believe that too, I'm sharing my thoughts after unboxing the LG CordZero Canister C3 and my first impressions about this vacuum cleaner. LG's Smart Inverter Motor™ technology - Faster, durable, powerful, regular and stronger suction. Kompressor™ technology - Presses and compresses dust, meaning easier and hygienic disposal. Dual Power Pack - Allows a running time of 40 minutes in regular mode thanks to its rechargeable lithium-ion dual battery pack. Being compact is one of the vacuum's features. True enough, the vacuum cleaner came with a box small enough that the mailman just carried it over one shoulder. That one, I must admit, I didn't expect. Because I wanted to use the product straight away and J was still at work, I took it on myself to unbox and assemble the vacuum cleaner on my own. This thing usually goes under J's turf, he's the handyman at home. But I just couldn't wait! It didn't take rocket science for me to assemble the vacuum cleaner on my own. It was pretty straight-forward and easy. It looks sleek and sophisticated. I like that it is compact and that it can easily be stored or tucked away in relatively small places. This is a big deal for me as we're currently running out of space in our storage and every bit of space counts. My first impression when I took the vacuum cleaner out of the box was it was definitely lighter than I expected! Sometimes compact products tend to be packed and space-savers yet heavy, so I was almost certain it'd be heavier than it looks. I was wrong, apparently. And because I had to know just how light it was, it weighed around 7 kgs. on our scale. There you go - my first thoughts and first impressions about the LG CordZero Canister C3. And because first impressions are not everything, watch out for more posts about this vacuum cleaner as we get to know it more by testing it at home. This post is brought to you by LG and Social Soup. I received an LG CordZero for review but all opinions expressed are entirely my own.